Zartan isn’t quite his self just yet. A few years back I went through something of a buying spree. I snatched up bags of G.I. Joe parts in search of needed items. If I needed a waist, I’d buy a whole collection just to get it. As such, I have bags filled with just waists. Others loaded with legs, others with torsos. I even have a bag of heads. Okay… this is starting to get weird. Anyway, as I was preparing this post and after I took the photos, I gave one of my bags a look see on the off chance I actually had Zartan’s waist. And as it turned out, I did. However, he’s not really ready to be reassembled. 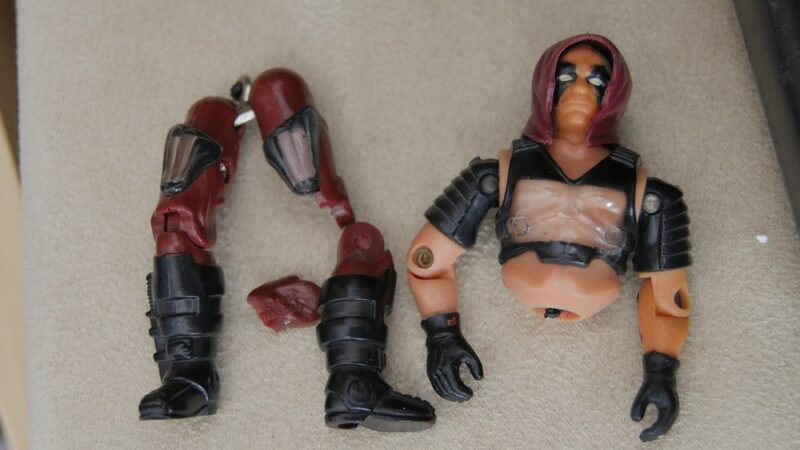 His broken leg means I need to keep the search going for replacement parts. Backpack came with the mask inside. WINNING! But I’m off to a good start here, I think. 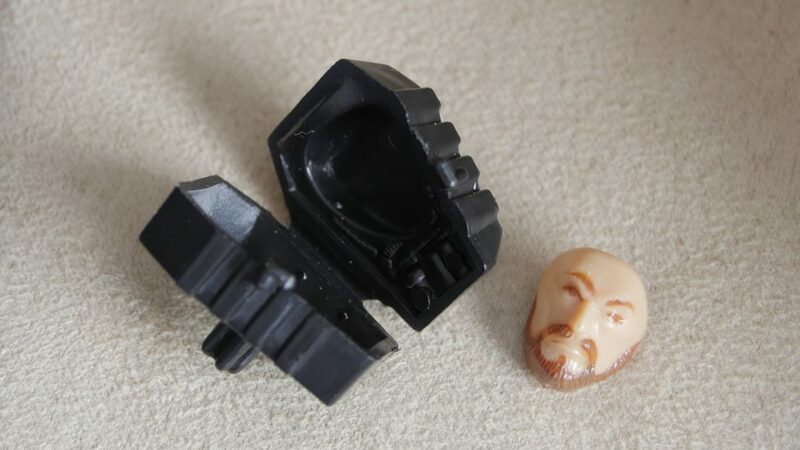 I have all the snap-on pieces, such as his leg pieces and his chest guard. And they are in surprisingly good shape. I also love that I have not only his backpack, but the mask inside. Always like the figure, and thought it was a good addition to the assorted G.I. Joe villains. I think in part because he wasn’t necessary bad like the rest of Cobra. Either way, looking forward to being able to get him fixed up.